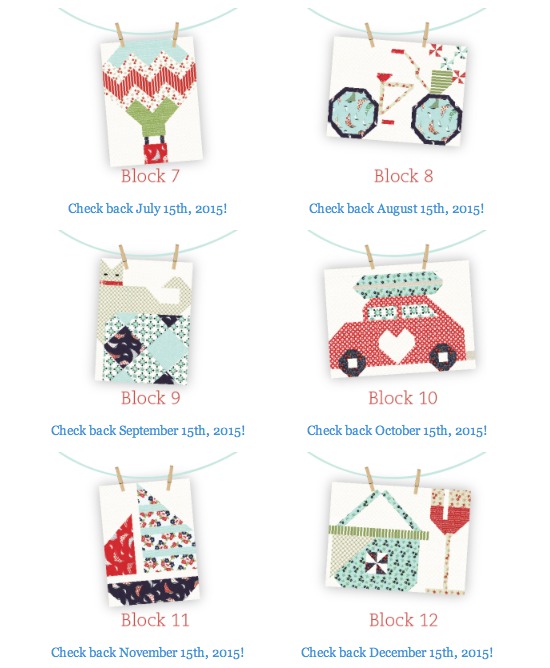 MessyJesse - a quilt blog by Jessie Fincham: Snapshots Quilt Along With Fat Quarter Shop! 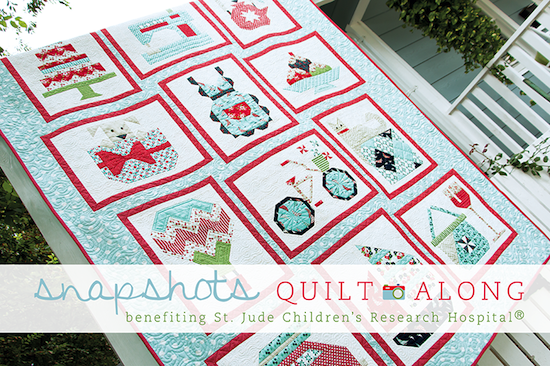 Snapshots Quilt Along With Fat Quarter Shop! Next month I'll be joining in a quilt-a-long with Fat Quarter Shop for a special cause! FQS are raising money in support of St. Jude Children's Research Hospital. Their aim is to advance cures and means of prevention for catastrophic diseases through research and treatment. Each month FQS are releasing a free pattern to make up the quilt, they are encouraging everyone to join in the sewing fun and donate a suggested $5 for each pattern to help raise the funds. The good news is, Fat Quarter Shop and Moda Fabrics will match up to $10,000 of donations raised for this amazing cause!! Which block is your favourite? Find out all the details of the QAL including ordering quilt kits from Fat Quarter Shop on their official page here. Oh, and you have to watch the video too; Bonnie & Camille and Kimberly are the sweetest. So I'll be checking back on January 15th with my first block, the CAKE! Yumm, can't wait. I joined in this year's FQS Wishes QAL. 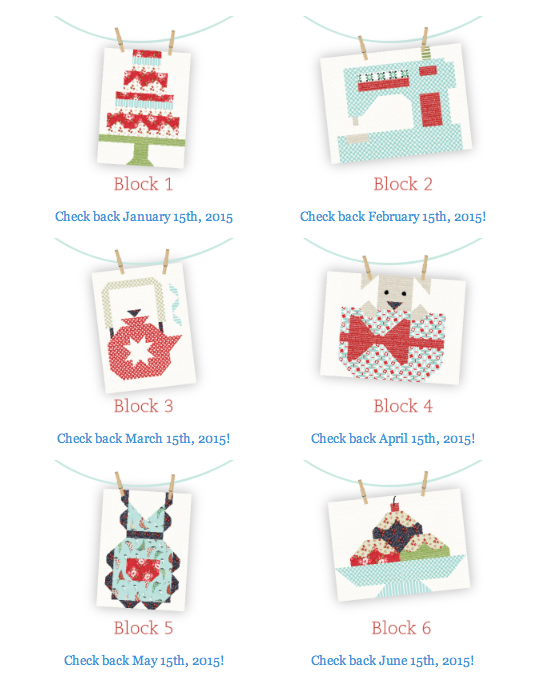 It was such good fun, the patterns were clear and easy to follow and making one block a month is a relaxed schedule. The FQS raised over $10,000 for the Make-a-Wish foundation as well and Moda are matching it. It is a great idea - to have fun with fabric whilst supporting charities. Next year's QAL looks interesting and I hope to join in with a few of the blocks. So I hope to see you in 2015 over on the FQS Snapshots Facebook page. I'm excited to have signed up for this QAL! I shouldn't as I am working on several projects at this time! I tried to resist but I love the fabric and the pattern is so cute! Being able to support the St. Jude Children's Hospital while quilting was the final reason I could't resist any longer! Looking forward to sewing along with you!